Ow! That was a thistle. Luke poked and scratched at it with a stick until it broke away from its roots and could be pushed aside. He then rubbed his grazed wrist and forged ahead, emerging moments later on the other side of the hedge. Simon Butler’s back garden. It wasn’t the first time Luke had gained illegal entry to Simon Butler’s garden but if all went well it might be the last. 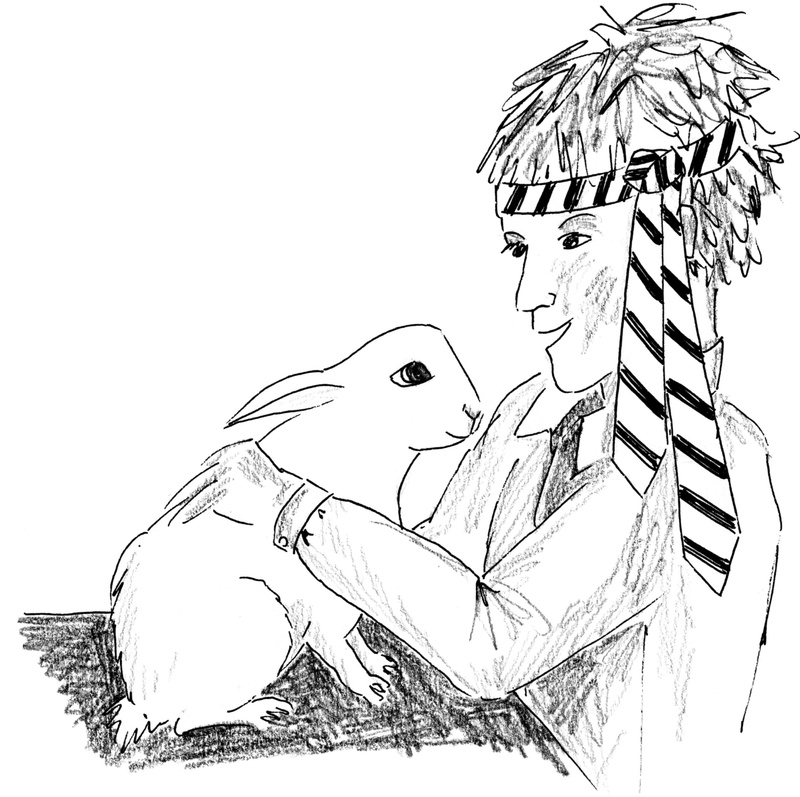 He’d been eleven times before, to visit the rabbit. 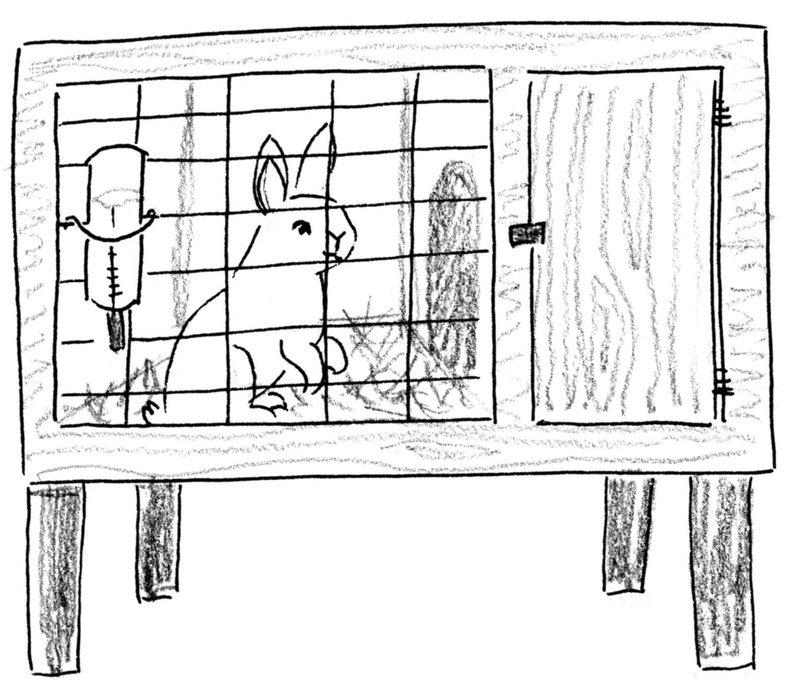 Simon kept his rabbit in a small wooden hutch at the end of the garden, near the dustbins. He used to let her out to play when he first got her but after a couple of months, when the novelty had worn off, he only visited his pet for five minutes once a day to refill her food and water. Luke felt sorry for her. He could see the hutch from his bedroom window next door. When he borrowed his dad’s binoculars he could even see the rabbit. A couple of times a week for the last month and a half, Luke had endured scratches and scuffs, and the hedge had endured bends and breaks, so that the rabbit could have a bit of company. 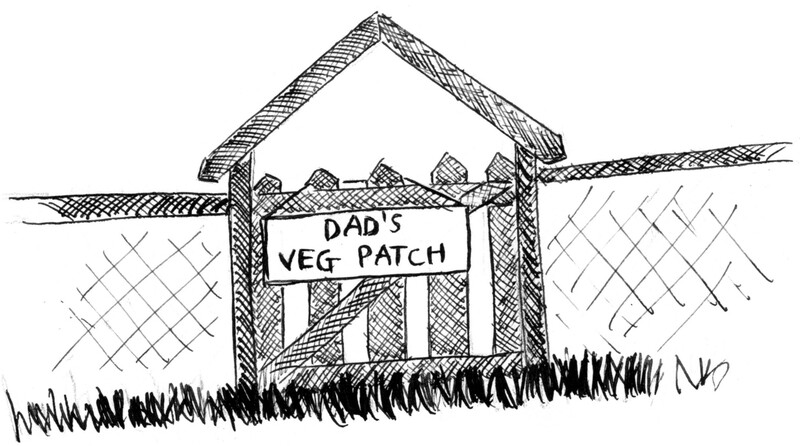 He always took her something from Dad’s vegetable patch – a bit of lettuce, or a carrot maybe – and after the first few times she seemed pleased to see him. She put her face close to the wire and eagerly tugged at the treats he pushed through to her. But he had to be careful not to get caught. Simon was a smarty-pants who always did his homework and always got good marks. He was good at sports and he was good at maths. He was always the first to put up his hand in class and his shoes were always clean. Irritating though all of that was, Luke could have let it go if Simon hadn’t done something unforgivable. Luke’s best friend, Joe, was not very fast and he was not very clever. He was last to be picked for every team game and first to be told off in every lesson for not knowing the answer. But he always took it on the chin. He shrugged it off. Sports weren’t his thing. Maths wasn’t his thing. He wasn’t especially enamoured with science or history either but that didn’t worry him. He was the best friend Luke had ever had and was totally reliable. He had kept his mouth shut when Luke tripped over his shoe laces and knocked Mrs Tebbut’s mug of tea all over her desk; he had kept it to himself when Luke accidentally cracked Mrs Tebbut’s windscreen with a cricket ball. He was the kind of friend who could always be depended on. So when Smarty-Pants told Mrs Tebbut that Joe had copied his test and Joe got sent to the Head Master for cheating, Luke was very cross. Simon Smarty-Pants Butler was a tell-tale and a liar. He could never be trusted. And he didn’t like Luke any more than Luke liked him. It was vital that Luke didn’t get caught. He wondered what on Earth he’d done to deserve such a reception as he stood, with muddy face, muddy hands, muddy knees and muddy shoes, at the end of the trail of muddy footprints on the tiled floor. Being considerate in all things, Luke complied with Mum’s vehement suggestion that he wash more than just his hands, and came to the table in clean clothes. Jared, his older brother, looked at him curiously as if wondering what he’d been doing and Luke returned the look without enlightening him. Mum served up their tea but, as usual, didn’t sit down with them. She would wait for Dad to get home and eat with him. Luke was dismayed to see bacon on his plate again. He had recently discovered what bacon really was: not food at all but slices of dead piglet. He was horrified. The fact that his parents, who had always told him to be good and kind, would choose to eat it was very confusing. He thought at first that they must not be aware of what it actually was, but when he explained it to them they were not surprised. They told him that people need to eat meat but that he shouldn’t worry because the animals were killed humanely (which they said meant ‘gently’ ). Luke was unconvinced. After some lengthy discussion in this vein, during which Luke’s parents failed to persuade him to see reason, his mum effected his silence by sternly insisting that she knew best and Luke must eat his meat. Luke said no more at that time but was determined not to. Again faced with the need to be rid of his bacon, Luke discreetly took a rasher and held it below the table for Dudley. Dudley, his dog, very obligingly took it from him. At that moment Mum reappeared in the doorway. “What did you just do?” she demanded angrily. Dudley ate fast. Mum went on. Luke stuck to his guns. He’d heard the vicar talking about living by one’s principles in the school assembly that morning. It meant having values and putting them into practice; it meant actions speak louder than words; it meant if you love animals you don’t eat them. Luke had never heard of Prince Paul before but knew he must have been a good bloke. Mum had obviously never heard of him either. “But he won’t be home ’til after bedtime right?” asked Luke, hopeful that he wouldn’t have to have that conversation tonight. Luke, suddenly not so confident that he’d thought of everything, became pale as it dawned on him that Dad might not understand that it was a good idea for the damsons to live in the veg patch. He felt sure that, in time, his new friends would be welcome additions to the family, but knew that his dad was not one to take to something right away and it would be better for everyone if they did not meet just yet. “LUKE!” His dad’s booming voice reached the house before he did. “How did he know it was me?” Luke wondered. Go Luke! I like that he does what he feels right, and forget everyone else. They are the ones who have problems. That’s how we all should be. We only have to answer to our own mind and conscience, so if we do the right things, then it really shouldn’t matter what other people say or think.